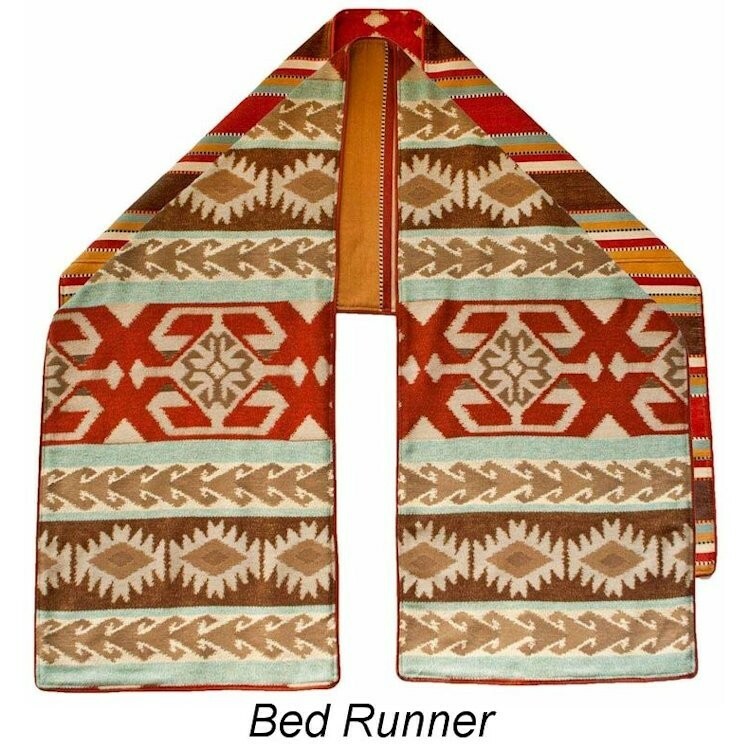 The Balboa Bedding has a southwestern appeal with itâ€™s bold Native American design in shades of brown, brick, beige and pale turquoise. 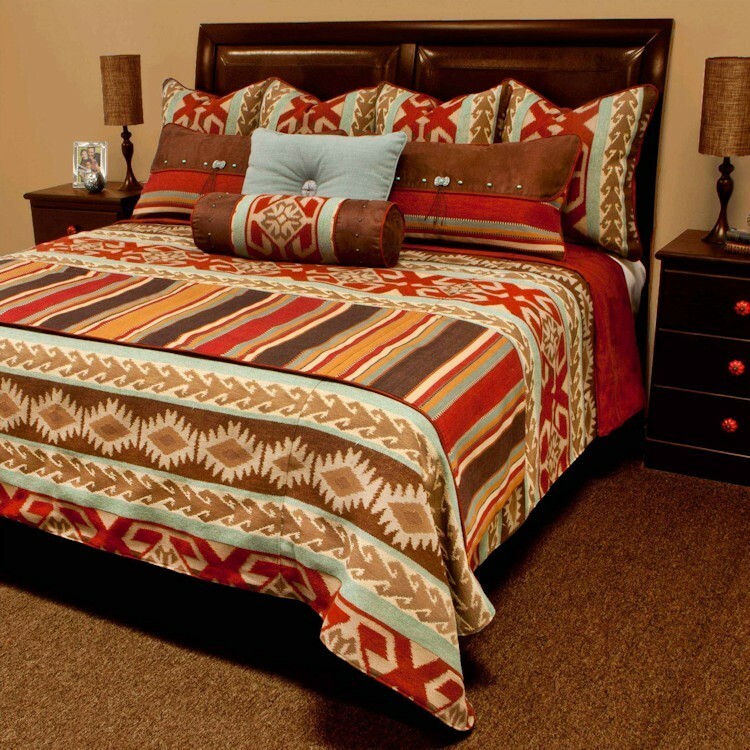 The colorful coverlet is lined with brick faux suede. 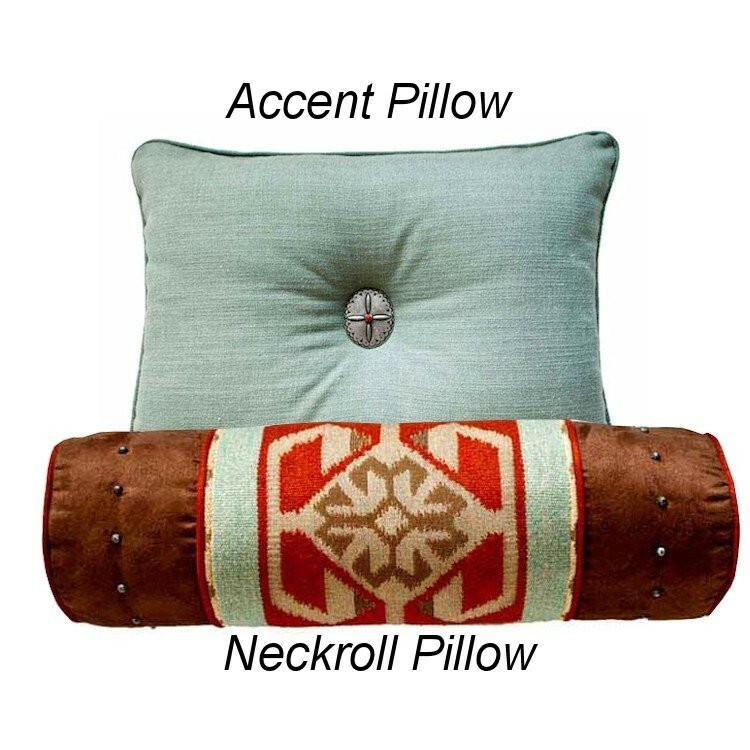 The pillow shams add addition western appeal with studs and decorative conchos.